Success in the food business can be defined as having customers who understand you and want to buy your products at the prices you need. A critical component of this is the ability to articulate your unique selling proposition. We see many producers and processors who cannot really explain why the retailer or the consumer should buy your product. Imagine conversations with your customer where they already understand the benefits of your product and they want to focus on the next off shelf program or when they can get your item in the ad rotation. These are the discussions you want and they lead to the sales you need. Notice they weren’t as concerned about price. If they understand your unique selling proposition, the focus will be around using your product to drive more sales, not slashing the price. It is a challenge to develop a truly unique selling proposition. Competition is strong and if you have an edge it doesn’t last for long. Finding the attributes that resonate with the customer and the consumer that are different is a process which can often get pushed aside. We assume they know us and they understand our products. Remember they have hundreds of items to manage and there are other things going on in their work and home life. At SKUFood we want to help you grow your bottom line which means you need to generate the sales you need. We have some great free offers for you at SKUFood.com. One of those free offers will help you create your own Unique selling proposition. During the meetings it is tempting to launch into a list of product attributes how great your employees are or even worse how strong your brand is. When talking to your customers you need to consider your audience, what is important to them and avoid the same attributes all of your competitors have. Product attributes are important but they are only part of a unique selling proposition if they are different (really different) than your competition. For you to be memorable they have to stand out. Product attributes are not limited to the product itself, they can be the service you offer. Perhaps you are the only bakery that is willing to deliver artisan breads fresh 7 days per week to the stores prior to 9am. If you are the only one then talk about it. You could the only dairy producer to limit your milk supply to within a specific geographic area, this could be unique. These two examples should only be part of your unique selling proposition if the retailer is talking to consumers about the freshest bread or they are the only one with ‘local’ milk. Great employees in your business is fantastic but your customer only cares if these people have special skill sets that are unique from your competition. Perhaps you have a person who spent years training to produce cheese the old world way and you are the only company in North America with this process and your product really does have a unique flavour. This can be part of your unique selling proposition. If you have a dedicated work force who do great things in the community that is great but not really of any interest to your customer. Building a strong brand is very important for your business. Retailers only care about it if it will help drive sales in their stores. To be honest they actually get upset when you try to include your brand in the conversation about why your product should be on their shelf. Remember many have strong control label programs so your brand actually competes with their brand. If your brand is associated with something the consumer is willing to change stores for then you have something to talk about. Recently in Canada we had an example where French’s ketchup was promoted as the only ketchup available across the country that is made with tomatoes grown in Canada. This resonated with consumers because Heinz recently closed their Canadian ketchup plant, which upset many consumers. The French’s brand was strong enough to be a draw for retailers, therefore the brand could be part of the unique selling proposition. Only include your employees if they impact the end product in a meaningful manner that resonates with your customers. The strength of your brand is only unique if it will drive incremental sales and traffic for your customers. Challenge the people within your business to really find those attributes you have that are different and resonate with your customers. That will be the foundation for a strong unique selling proposition that will lead to meaningful conversations that drive sales at the prices you want for your products. We will continue to add content to SKUFOOD all the time. This industry keeps changing and we will keep you up to date and on top of trends. 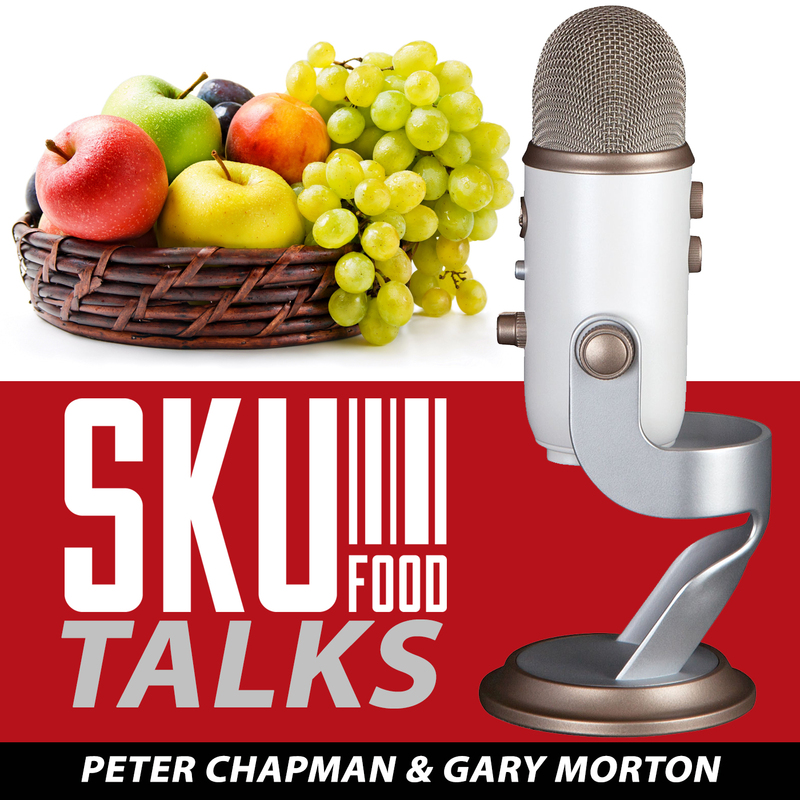 Peter and Gary have made a commitment to each other and we will make it to you; if it doesn’t help your bottom line it doesn’t get into SKUFOOD.com.